Shannon entropy = -sum pi * ln(pi) = 1.88. The following table is not complete. It uses only the words that either went into the map on this page (plus Lahnda), or would have done but for irregular or multiple cognate classes. 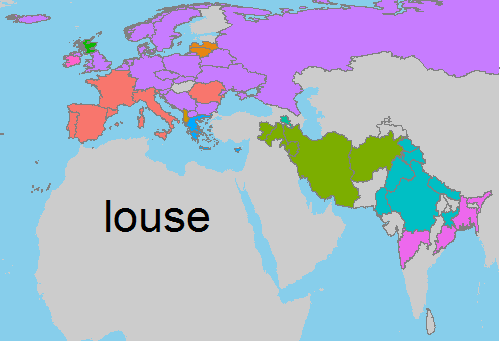 See the IELex page for louse for the full table. Cognate classes in brackets denote loanwords.